Fangirls, I love me a good side scroller. Especially one where you get to kick bad guys’ butts. So I am happy to introduce you to my most recent obsession, OK K.O. OK K.O. is a super cute side scrolling app for kicking butts. 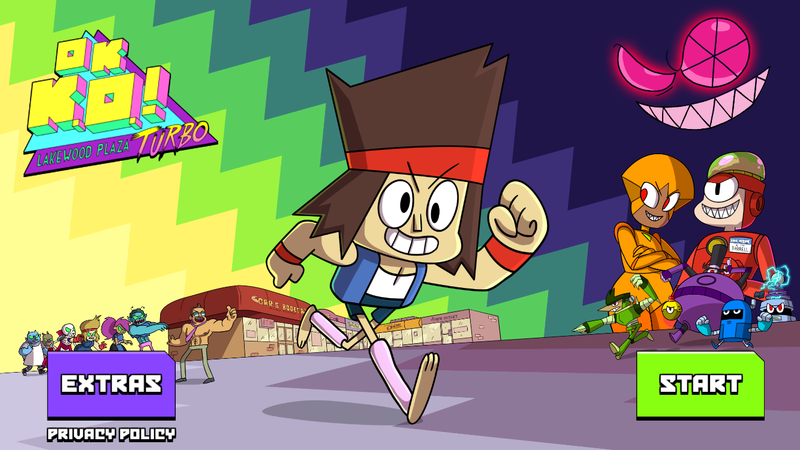 You play as K.O., that neat lookin’ dude in the center, above, as he tries to help restore order to Lakewood Plaza (where he works). I think this game is rad not just because of the action, but because of the characters. K.O.’s mum is his martial arts instructor; she knows he can unleash the power inside of him. One of his friends is a badass lady, and the person he seems to like least at the plaza is also a kickass woman; I think they don’t get along because they’re trying to be tougher than the other. 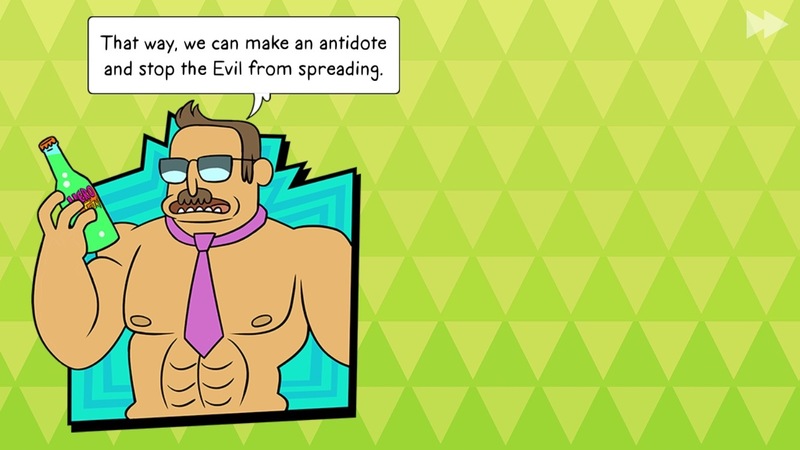 The game is about a toxic drink, Hero Tonic, that was promoted as giving you instant hero powers, but is making everyone super mean. 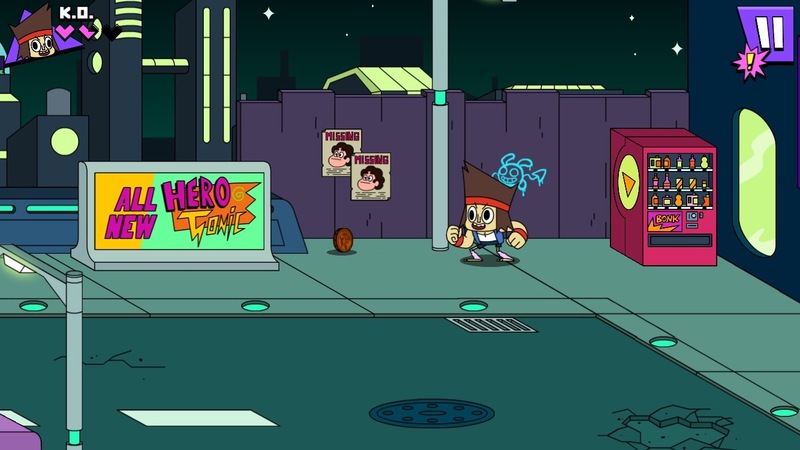 It’s K.O.’s job to find the people of Lakewood Plaza, get them out of their funk, and get them to fix up their part of the plaza. Since OK K.O. is a Cartoon Network game, there are little homages to other CN shows throughout the game. Sure, I think the Regular Show ones are fun, but what really made me laugh were the Missing posters for Steven Universe. As a big Steven Universe fan, when the show goes on hiatus (which is just about every other episode) it feels like a big chunk of yourself has gone missing, and you’re more than willing to offer a reward to get it back. The posters in the background really hit the nail on the head with that one. Altogether, this is a super fun app. It takes up more space on my phone than I would like, and is pretty tough on my battery, so it won’t stick around forever, but I do enjoy it, and recommend it to everyone.